How do आप think Cruella looks? Do आप think Glenn Close was a good Cruella? Which of Cruella's henchmen do आप like best? A प्रशंसक i would like to put is Cruella De Vil and डिज़्नी and डिज़्नी Classic. a comment was made to the poll: How do आप think Cruella looks? 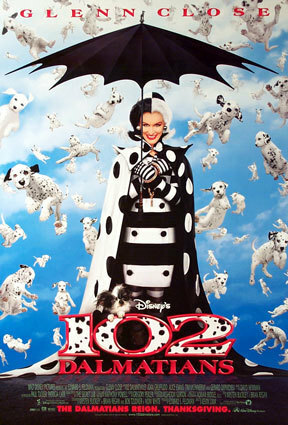 true/false Glen Close was one of only two actors from the original 101 Dalmatians film to play in the sequel 102 Dalmatians?